On June 2nd 2018, the Choir became the first men’s choir in Britain to be awarded the Queen’s Award for Voluntary Service (QAVS). 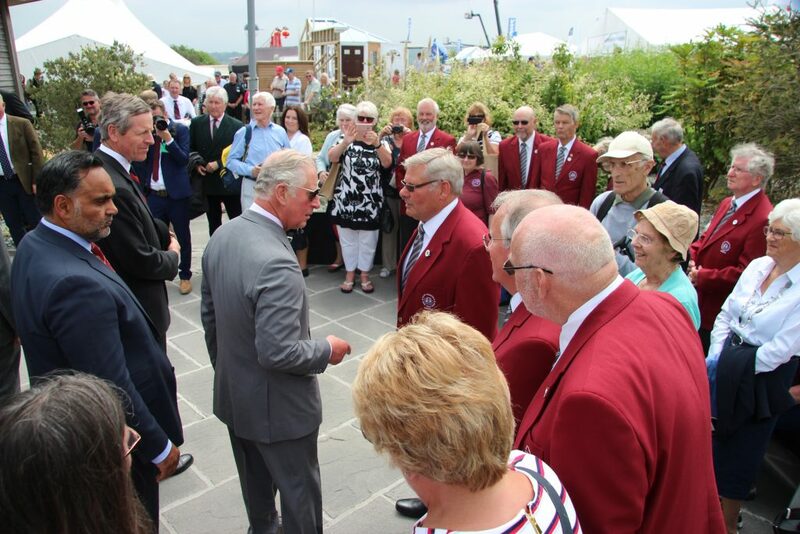 On June 7th 2018, Rame joined choristers from Launceston, Pelynt, and Burraton, singing before HRH The Prince of Wales at the Royal Cornwall Show. At the Royal Cornwall Show, we were part of a 70-strong choir marking the Prince’s birthday during the Prince’s Countryside Parade. 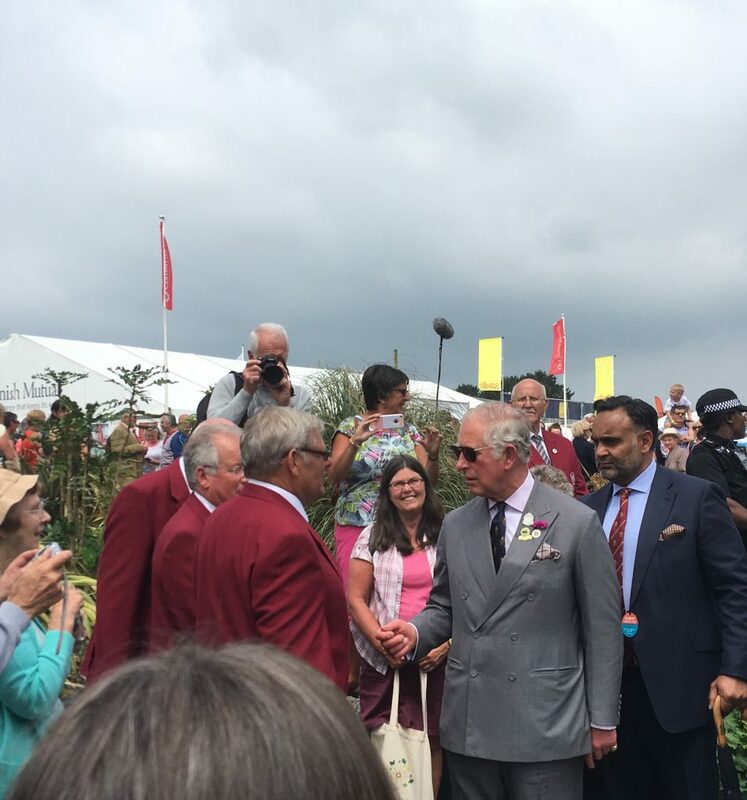 The QAVS is the UK’s highest accolade for voluntary groups, and is considered the equivalent of the MBE. The award was inaugurated in 2002, to mark the anniversary of Her Majesty’s Coronation. It recognised the achievement of the voluntary choir and its helpers in raising nearly £17,000 for cancer diagnosis in the past year. The Choir was the only organisation from Cornwall to be honoured in 2018. Two East Cornwall ladies nominated the Choir for the award when they discovered the choristers, and their folk, sea shanty, and 60s rock ensemble, Halfway Harmony, have donated more than £250,000 to charity since their founding in 1976. Beneficiaries include schools and churches in their parish and in Torpoint, earthquake victims in Nepal, Rame Peninsula Beach Care, Coverack flood victims, British Legion, more than £30,000 to Cornwall Air Ambulance over the past six years, and disaster victims worldwide (17 Shelterboxes). Mesothelioma, caused by inhaling asbestos dust, has claimed the lives of five Choir members in recent years, and more than 460 people in the Plymouth area over the past 20. Mesothelioma South West has consequently received several thousand pounds from Halfway Harmony. 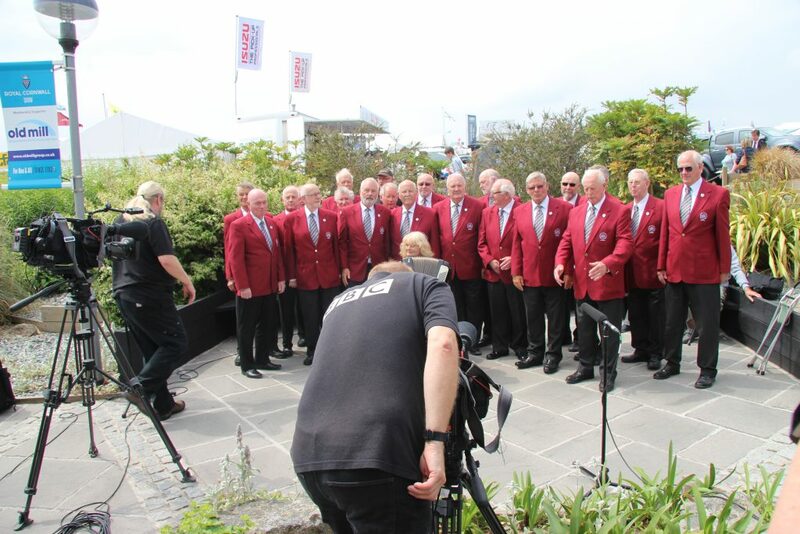 All that is in addition to more than £90,000 raised by Rame’s participation in events run by the Cornish Federation of Male Voice Choirs at London’s Royal Albert Hall and Plymouth Pavilions. He insisted that thanks should also go to the Cornish Federation of Male Voice Choirs, many of whose member choirs held independent concerts. These have further boosted a fund which has helped spare Cornish residents round trips of up to 400 miles for the nearest available diagnosis, which was in Bristol. Cornwall’s Lord Lieutenant, Colonel Edward Bolitho, presented the award at a special concert on 24th August 2018. “This is a great accolade, and recognition not only of your singing work, but also of the notable fund-raising you have carried out over so many years,” said Colonel Bolitho. Cornwall Council has already honoured the Choir, with a reception in Truro. There has been significant media interest in the Choir’s achievement: coverage on both ITV South West and BBC Spotlight, as well as page leads in the Cornish Times and Cornish Guardian. Facebook hits have topped 6000 in a week – almost five times as many as any previous choir activity. Spotlight concluded their coverage of the Royal Cornwall Show with the news that the Choir had won the QAVS, and the Choir then played out the programme, singing Minnadhu Breaks, their iconic signature tune, written by Millbrook’s Pete Staniforth.